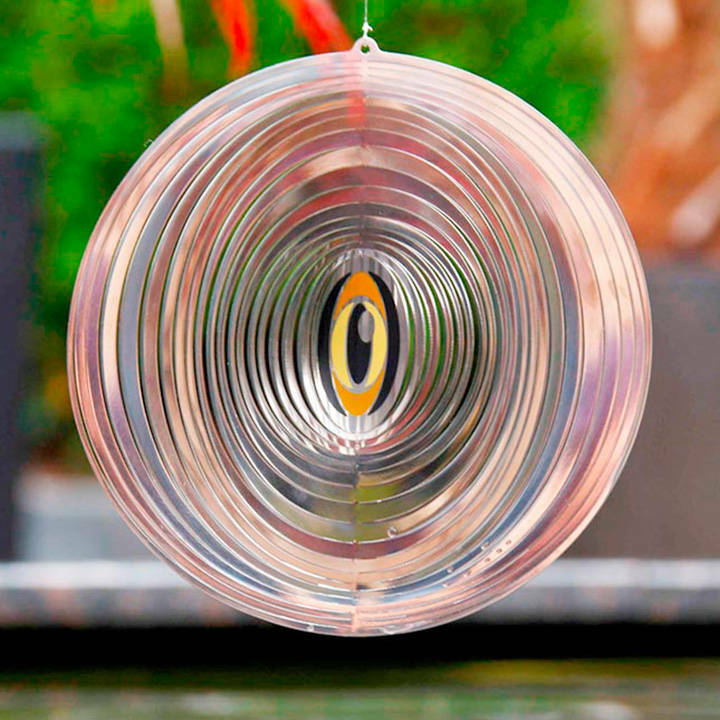 A simple and attractive device that protects your pond fish by scaring herons etc with its shiny metal surfaces that move in the slightest breeze, and central ‘eye’ which resembles that of a bird of prey. 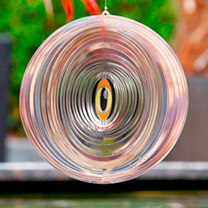 For very large ponds several spinners can placed around the perimeter to increase their effectiveness. Diameter 18cm (7”).